The plaintiff alleged that the police subjected him to excessive force. The plaintiff survived a motion for summary judgment and the case went to trial. The jury found for the police officers. But the case did not end then and there. 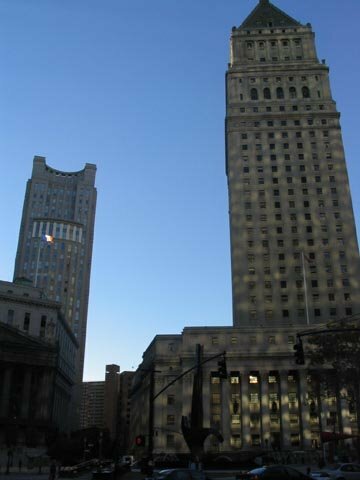 Arguing that the case was completely frivolous, the City of New York asked the trial court to order that plaintiff pay its attorneys' fees. The trial court granted that motion and the Court of Appeals affirms. The case is Abeyta v. City of New York, a summary order decided on December 15. For you non-lawyers out there, defendants file summary judgment motions to prevent to trial from taking place. They will argue either that the plaintiff has no evidence or that the case is so one-sided in favor of the defendant that the plaintiff cannot win. The plaintiff's sworn pre-trial testimony alone may entitle him to a trial if he testifies that the police beat the hell out of him without good reason. That does not mean the plaintiff will win at trial or even that the case is not frivolous. When this case went to trial, the jury returned a verdict for the defendant police officers. The City then moved for attorneys fees. Normally, plaintiffs who lose don't pay the defendants' attorneys fees. Otherwise, plaintiffs would be afraid to bring lawsuits in the fear that if they lose, they could pay a huge attorneys' fees judgment. But if the plaintiff brings a frivolous case, the judge can order him to pay defendants' fees. That's what happened here. while it seemed at the summary judgment stage that the officer defendants could have slammed plaintiff’s head against the hood of their squad car, it became clear at trial that there was no credible evidence to support such a claim. Similarly, while it seemed at the summary judgment stage that plaintiff could have suffered life-altering brain injuries as a result of the alleged incident, it became evident at trial that plaintiff could not prove the existence of any injuries proximately caused by the alleged incident. . . .
For example, during plaintiff’s cross-examination, plaintiff conceded that he had continued playing video games, drinking, and going to strip clubs following the alleged incident, wholly undermining his allegation that as a result of the supposed incident, he was unable to work, leave his apartment for long periods of time, watch television, socialize with friends, or use a computer. The district court therefore ordered the plaintiff to pay the City $211,747.50 in attorneys' fees. As the Court of Appeals does not like to second-guess the district courts on attorneys' fees rulings, this order stands, and plaintiff has to now pay out an enormous amount of money to the City.